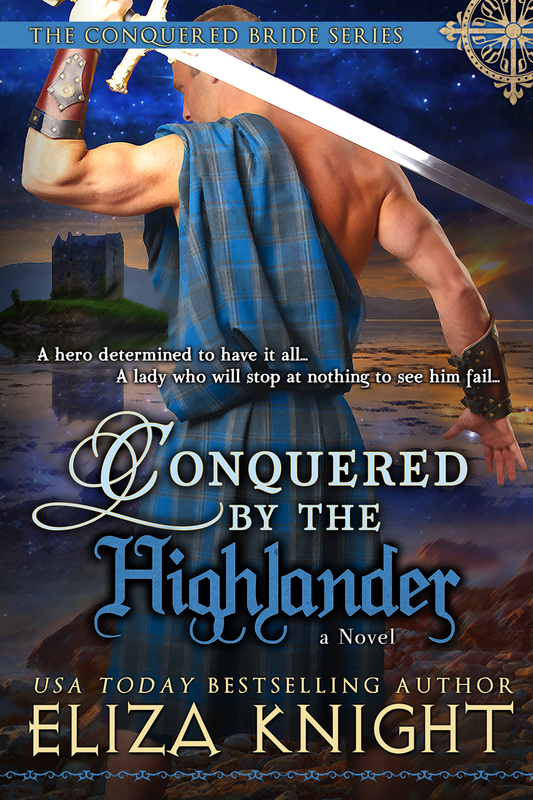 Today, I'm sharing with you the prologue of my new novel--Conquered by the Highlander! I'm so thrilled for this book. It is the first in a spin-off series from the Stolen Brides. 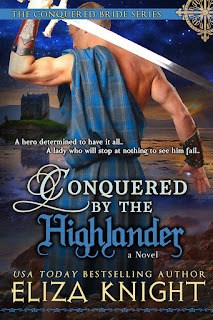 You'll remember meeting Gabriel in the Prequel, The Highlander's Temptation, and now he has his very own story! SHE should have eaten her supper. A lass who disobeyed her elders would be punished. And now it seemed Brenna MacNeacail had brought the devil into their house. Mama and Da would surely blame her for it. Huddling with her sister, Kirstin, in the nursery, she watched their governess, Meg, shove a chest in front of the door with every ounce of strength she had. Sweat beaded on her upper lip and her gray-streaked hair fell limply from her bun. From below, they could hear screams and crashes as a battle raged inside their walls. Less than an hour had passed since the castle had been swarmed by enemy warriors and the warning bells of a siege had tolled. Just over an hour had passed since Meg had sworn Brenna would bring hellfire upon them for her wicked temperament. 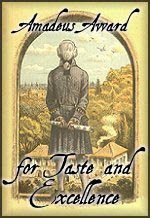 But what lass would eat lamb’s tongue? Brenna was certain the unsightly fare had been Meg’s way of revenge since Brenna had put a toad under her pillow. And now hellfire had come. Kirstin shivered, her lip trembling. Her sister’s fear pulled Brenna back to the present. At any moment, Kirstin would break out into great sobs. Sobs that would pull the attention of the warrior devils up to the nursery. They’d hack them to death. That’s what enemies did. They killed everyone. Brenna didn’t want that. Of the two of them, Brenna was definitely the strongest. And she should be, she was born first. From the moment they’d left the womb, Brenna had been protective of her sister. At twelve years old, she was practically a lady already, though she wouldn’t have minded being a warrior. Da had seen to it that she was fierce and that she could wield a weapon, given it was the right size for her tiny frame. Meg finished moving the chest, her heavy bosom heaving from her labored breaths. Swiping a meaty palm over her face, she turned in a circle then began shoving a table across the room, the sound of the legs scraping on the wooden planks drowning out the noises of the fighting below. Kirstin nodded, biting her lip. She clung to Brenna, just as they’d most likely clung in the womb. Mama was lucky to survive their births, as Brenna had been told time and again that it was a very difficult experience, and the reason Mama had not had any other children. As such, Brenna and Kirstin were the heirs to the entire MacNeacail holdings and fortune. A vast one, if father didn’t say so himself. Though their lands were not as far-reaching as some other clans, their treasury was filled with coin and various other assets. “Girls, quit your fussing and help,” Meg puffed, red-faced, as she lifted a chair on top of the table. “We need to escape, not bar ourselves in and wait for the devils to come knocking.” Brenna spoke with authority and sense, two things Meg hated. Brenna chewed her lip. Father had made her promise never to tell about the secret passage in their chamber that led down to the water gate. This was an emergency, though, and she knew he’d not be upset if she told Meg now. Meg scoffed. 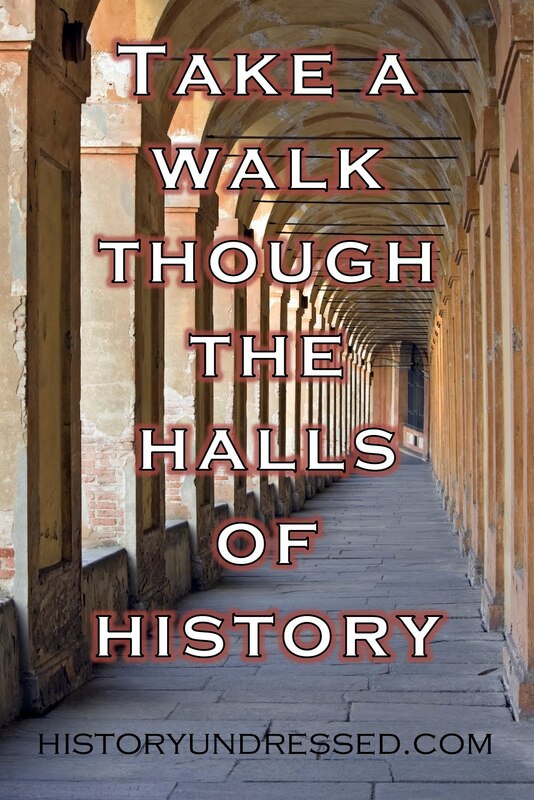 “The laird’s passageway? Rubbish. Get the other chair afore I cuff your ear.” Meg turned her back, hauling another piece of furniture toward her pile. Kirstin gripped on to Brenna’s hand and stared at her with wide blue eyes. Brenna couldn’t let her sister down. Couldn’t let anyone down. She’d already gotten in to trouble once—all right, twice—today. That was enough. “Come on, Kirstin,” she said, ignoring Meg. She led her sister to the far corner of the room, behind their dressing screen. “Brenna MacNeacail, ye little scamp!” Meg called. They could hear their governess’ pounding feet crossing the room. If she caught up to them before Brenna opened the secret door, Meg would surely tan their hides and they’d never be able to escape. Brenna shoved against the small table with their washbasin on it, knocking the bowl to the ground where it clattered but did not break. With quick fingers she pressed along the stones, looking for the one that was weaker than the rest. The pads of her fingertips grew raw from her frantic searching. Finally she found it, shoving hard, but she wasn’t strong enough. Four hands pressed to the stone and the girls shoved with all their might against it. Sweat started to form on her brow from the exertion of it, and when it finally gave way, Meg wrenched Kirstin’s arm snapping her backward. Meg reached for Brenna, but she backed away, pressing against the secret door she’d just unlatched, revealing the darkened tunnel beyond. Brenna grabbed hold of Kirstin’s hand and ran into the dark. Meg brought a lit candle, closing the door behind them. And it appeared to be just in time. Beyond the door, she could hear the banging of axes as their chamber door was chopped down and the crash of Meg’s pile as the men entered. They walked briskly down the stairs, Brenna and Kirstin holding tight to each other’s hands as they went, their free fists wrapped in their skirts to pull the hem away from their boots. With every breath she took, she expected to hear the sounds of the men above discovering the secret tunnel. And though she did occasionally hear a bang that made her jump, no one marched through the door. No one called their names, shouted for them to stop. No one grabbed hold of them. Hands outstretched, and only seeing a foot or two in front of her, Brenna touched the dead-end of the tunnel. All she had to do was find the right stone that would press the wall outward. It was higher than she thought, just out of reach. Blast her tiny frame. Her mother, too, was small and while her da had always found their slight forms to be sweet, Brenna found it a hindrance. “I’ve got it, lass.” Meg, who had at least six inches on the girls’ heights, pushed the stone until it clicked. They eased the door open, the scent of the salty firth a relief. They’d made it to the water gate. Now all they needed was to take a currach, one of the tiny row boats, and paddle away from Scorrybreac. That was their only chance for survival. “Where will we go?” Meg asked, fear filling her eyes. With a curt nod, Meg ushered the two of them down the watery stairs toward the gate and, beyond that, to where several currachs lay on the rocky shore. Recklessly, Brenna ran toward Meg’s body, seeing a lad not yet a man, but older than a boy, standing just beyond where they could see from the stairs. “Ye killed her!” she cried. “Wife?” She was not old enough to be anyone’s wife. She’d not yet had her menses. A betrothal contract must have been what the boy meant. She’d not be well and truly wed for several years to come, which would give her time to escape if needed. But Kirstin… Brenna chewed her lip and forced herself not to look behind her to be sure her sister was still hiding. Her mother and father were dead. She was the only one left. He’d not seen Kirstin. Didn’t know about her. Brenna sent up a prayer that at least Kirstin could escape, even if she had to sacrifice herself for a time and go with this fiend. Brenna shook her head, but she dared not move backward in case the lad advanced on her and saw her sister in the crevice. The lad poked her neck with the tip of his sword and pain radiated from the spot. She felt a warm trickle of blood running down her neck, but still she remained strong. The lad shrugged—a nonchalant, uncaring act that made her rage further. The lad could care less that he’d killed her governess, that his men had killed her parents and countless others. It wasn’t important to him. She was important. Life was not important. Her blood chilled. Brenna swallowed around the icy lump growing in her throat. “Who is your father?” she croaked. From what Brenna had understood, the MacLeod’s had been trying to get their hands on her clan’s land for decades. She didn’t know why. No one had shared that bit of information with her. Seemed they had finally gotten their way. All the blood drained from Brenna’s face. If Queen Margaret, only slightly younger than herself, was dead, then indeed there would be unrest as no one would know who to name next to the throne. Why would they care about a small clan on the Isle of Skye when all of Scotland was up for the taking? She may very well be without a friend in the world. Her only chance was if Kirstin could escape, but her sister was so weak… She’d never survive in the wild on her own. If Brenna left her here, she might as well sentence her sister to death, but if she told this vile boy… He might kill her, too. She had to strike a bargain. Folding her hands in front of her, Brenna attempted to look meek, but the sounds of boots pounding on stone through the tunnel she’d just come from startled her. The secret door was thrust open and her cousin, Finn, stepped through—not much older than the lad in front of her. The vile lad grabbed her elbow, yanked her against him, and wrapped his arm around her ribs squeezing tight, his sword pressed hard to her throat. “Leave or I kill her,” he ordered. Finn growled, pulling his sword from his scabbard. She was certain that if he tried, he could dispatch of the MacLeod lad, but not before her enemy slit her throat. “There are two of ye?” MacLeod growled. “I cannot leave ye,” Finn said, his face contorted in indecision, for he must have known there was truly only one option. “And what of ye?” Moisture gathered in her cousin’s eyes. “Brenna,” Kirstin sobbed, her entire body shaking. She reached toward her, but Brenna shook her head. Kirstin rushed forward, arms outstretched, which had MacLeod reacting violently, his sword flinging away from Brenna’s neck and toward her sister. Finn grasped Kirstin around the waist yanking her back, just before the tip of the sword could pierce her skin. Finn grabbed hold of Kirstin’s hand and dragged her, sobbing, toward the quay. Finn would protect her with his life, she knew that, and at least now her sister had a chance at freedom. Brenna shivered, for she was certainly doomed to a lifetime of suffering. Brenna pressed her lips together, holding back her sobs, resigned to her fate. Finn and Kirstin had to make it. They just had to. The boy dragged her up the water gate stairs, through the small courtyard at the north side of the castle and through the door that led to the kitchens. They crossed the empty kitchen and into the great hall. Sobs sounded throughout the castle as servants checked on the dead and cleaned up the mess. Blood stained the wood planks of the floor. The bodies of MacNeacail warriors lay lifeless, eyes gaping, mouths slack. Brenna closed her eyes from the sight, relieved she’d not seen her parents, and not wanting to see them should she spot them after all. Though she’d seen plenty of servants look woefully her way, none had tried to save her. And she didn’t expect them to. “Who’s this?” an older man grunted. Brenna did open her eyes then to see the man who’d brought carnage to her home. She vowed that from this day forth, she would never forget his face, and one day, she’d smile over his dead body. 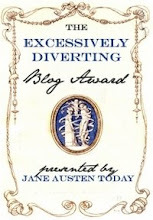 She clamped her lips closed, fully aware that she was accepting the lesser of two evils.